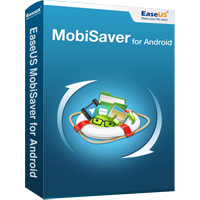 EaseUS MobiSaver for Android recovers lost message, contacts, files, photos, videos and more from Android that lost due to accidental deleting, OS crash, rooting, virus and other unknown causes. Samsung, Google, Sony, Motorola, HTC, LG, ZTE, Huawei and more. Pal, I suppose that you're too late on to this Giveaway... since it was "finished" on 11.II., right ?? I have updated the giveaway link you can enter it.